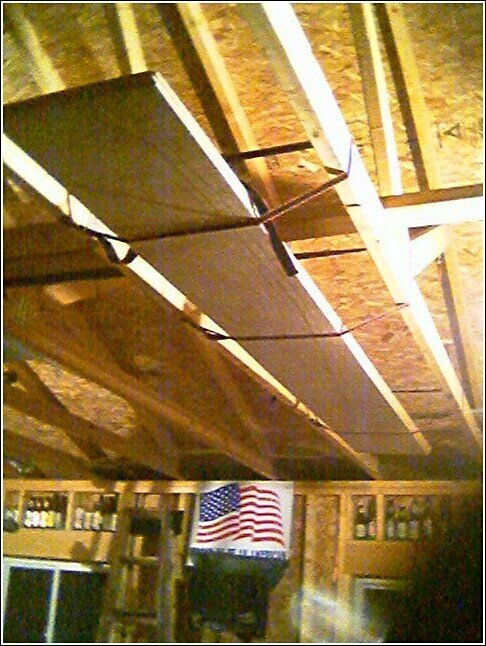 MichiganKayaker.com: New Wood Is Good! Don't you get excited when you get new plywood? What you are looking at will hopefully be the start of my next S&G kayak. I need the temp to rise a little. I am going to try to get this project outside, instead of in the garage. I think I am going to do some kind of temporary shelter behind my house. With the motorcycle, wifes Trailblazer, four other boats, and all my tools, I need a little more room.